The Government of Vietnam will create all favourable conditions for Malaysian businesses to invest and do business in the country, the visiting Vietnamese President said in Kuala Lumpur Thursday. President Truong Tan Sang made this affirmation while attending a Vietnam-Malaysia business forum in the Malaysian capital as part of his three-day official visit to the regional nation. The Vietnamese State leader expressed his wish that Malaysian businesses would increase investment and make more contributions to Vietnam’s socio-economic development. 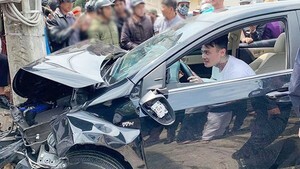 Malaysian businesses highly valued the Vietnamese State and Government’s support, saying they have seen successful operations and gained a firm foothold in the Vietnamese market. They said they are ready to invest in Vietnam and seek further cooperation with Vietnamese partners in years to come. On the same day, President Sang visited Malaysia’s national petroleum group, Petronas. He spoke highly of the close, effective and practical cooperation between Vietnam National Oil and Gas Group (PetroVietnam) and Petronas over the past 20 years, which brought great economic benefits to each country. He suggested the two groups strengthen cooperation, especially in exploring and exploiting new oil and gas fields in both Vietnam and Malaysia. 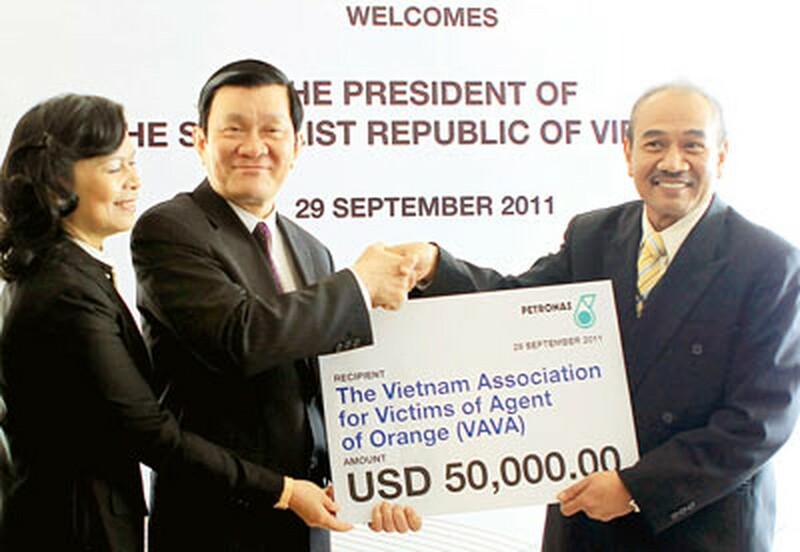 On the occasion, President Sang received 50,000 USD as a gift from Petronas to Vietnamese AO victims. The President also received the leaders of leading Malaysian businesses, including Jacks Resources Berhad, CIMB Bank, Proton automobile maker and Parkson retailer. While visiting the Vietnamese Embassy in Malaysia, President Sang praised the efforts of embassy staff in implementing the guidelines and policies of the Party and State. He urged the embassy staff and the Vietnamese community to continue strengthening solidarity, helping boost friendship and cooperation between the two countries.